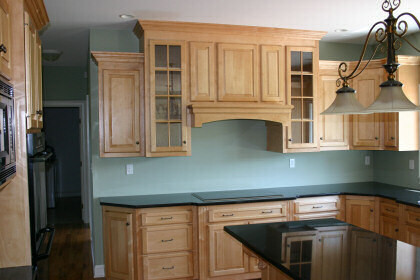 Laminate countertops are made from a thin piece of laminated plastic that is adhered to a wooden base. They offer our widest range of colors and designs with over 600 options to choose from. Laminates are an affordable option when a bold colorful look is desired. 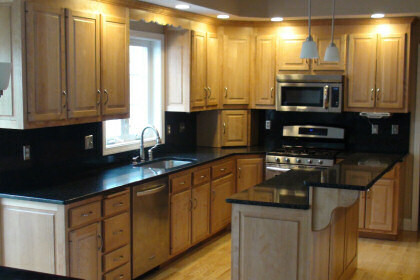 Granite countertops offer deep colors and that elusive, one-of-a-kind beauty created only in nature. As a result, granite countertops add character and warmth to kitchens, baths, and other areas of the home with a richness that cannot be duplicated in synthetic materials. Its polished finish won't wear off. Granite tops are a beautiful, durable and cost competitive solution for kitchens, baths and other residential applications or commercial applications. Because stone is porous, each stone requires special sealants. Cambria Natural Quartz Surfaces are a nonporous, low maintenance solution to having a natural stone countertop in your home. No sealing, polishing or reconditioning is needed. Cambria is created from pure natural quartz, an extremely hard stone. In fact, quartz is the hardest non-precious stone that can be found in the earth's surface. Corian® is nonporous so stains do not penetrate the surface. 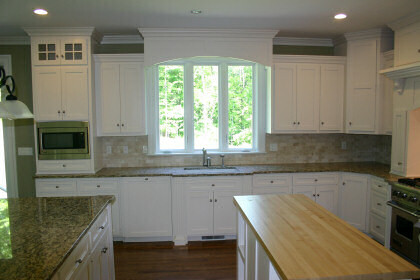 With proper cleaning, Corian® also resists the growth of mold, mildew and bacteria. Corian® products such as sinks and backsplashes can be perfectly integrated to create the illusion of a single, solid surface. 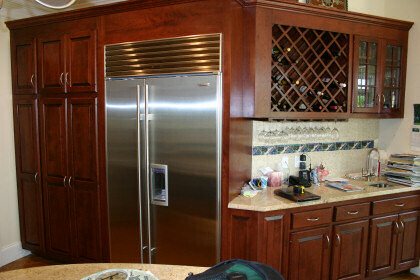 With a cove-backsplash there are no cracks to collect dirt and moisture.